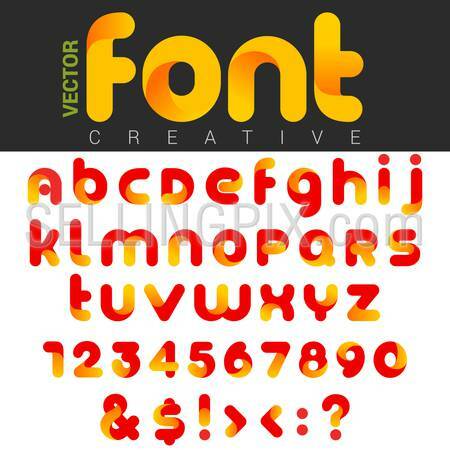 Font design vector rounded funny cartoon. Can be used as Logos. Letters and Numbers and other Characters & Symbols included.